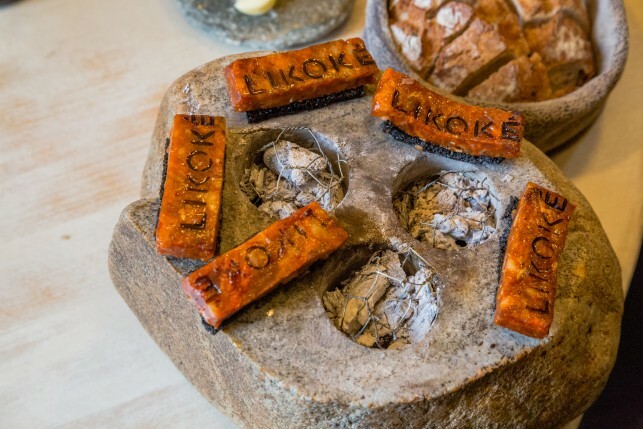 Likoké is the 1 Michelin star gastronomic restaurant of Piet Huysentruyt, located in the beautiful Ardèche region in France. For more information about the chef and the restaurant, please consult our reviews from 2013: lunch or dinner, or 2014: lunch. 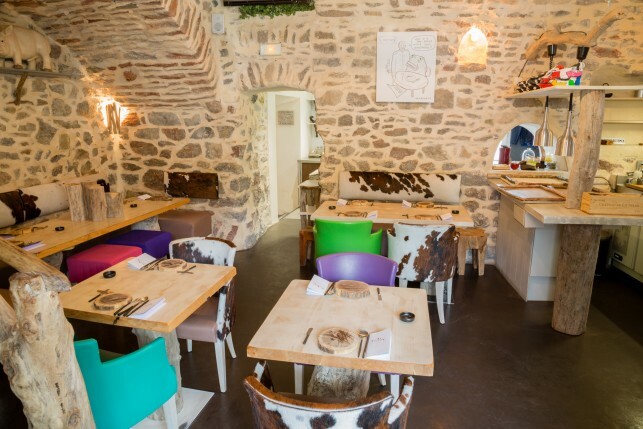 The restaurant was renovated in 2014 and an extra separate private dining room was added. 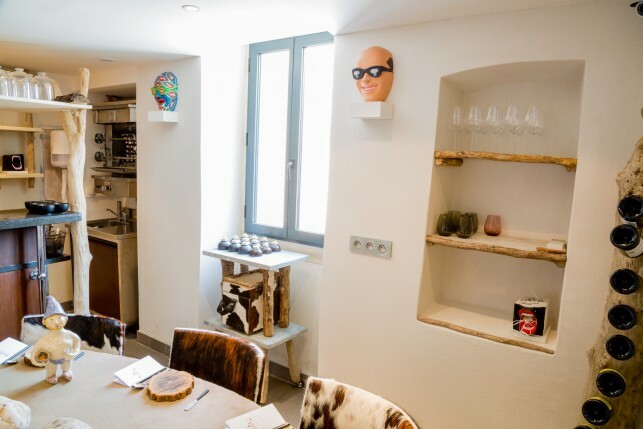 The kitchen was expanded as well, while the authentic, colorful interior remained the same. 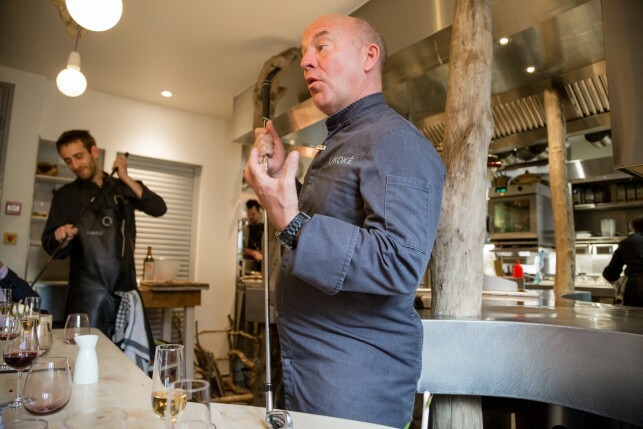 In June 2015, Piet Huysentruyt also launched his newest cooking book: PH9715. It is a unique document on the eventful life of the chef and is divided in two separate books. The first part (97) is an integral republication of the controversial book “Eigentijds en Eigenzinnig” (“Contemporary & Quirky”) which appeared in 1997. At that time the book gained international recognition with its visionary recipes and exceptional photography of Tony Le Duc. The second part of PH9715 (15) is a new book and is about the life, the team, and the food of Likoké. Through the website you can order one of the (limited and numbered) copies. 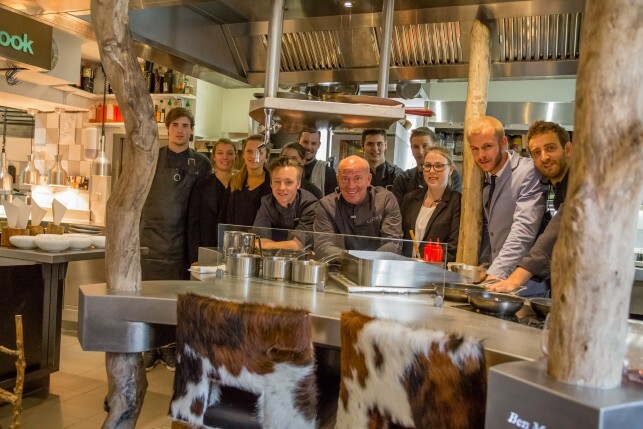 As from 2014, Chef Piet Huysentruyt is assisted in the kitchen by sous-chefs Stijn Rotthier and Anthony Stoop. 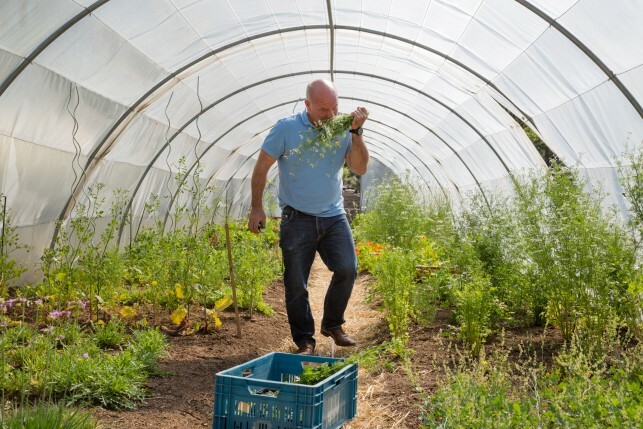 The team continues to create an experience cuisine, deeply rooted in the soil of Southern France and with great respect for local, homemade products. 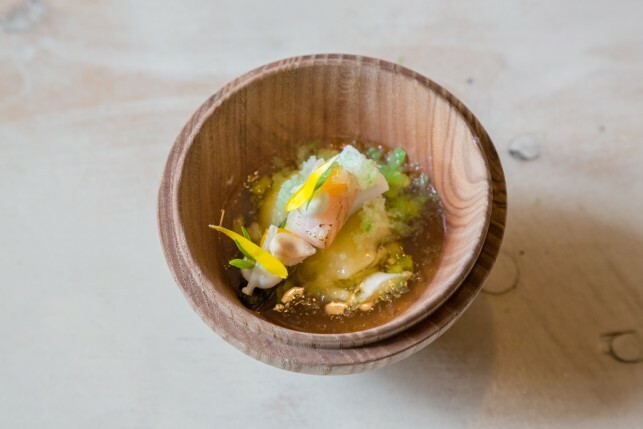 Less than one year after the opening, Likoké entered the wbpstars.com top 60 list of the best restaurants in the world, received its first Michelin star and was awarded as ‘discovery of the year’ by Gault&Millau. 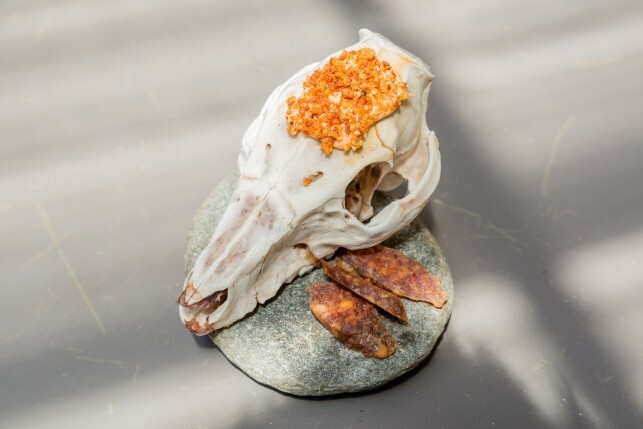 Charcuterie Ardechoise: Homemade chorizo ​​sausage with cream of barbecued tomato and a crumble of baked pork skin and smoked almonds. 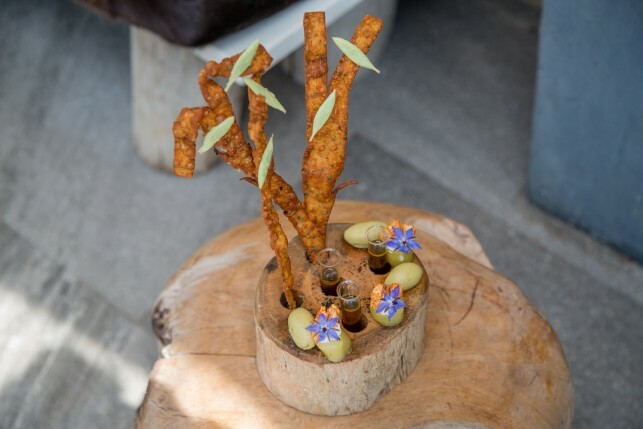 “Welcome Olive Tree”: olive, green olive dip, shot of black olive, marinated and burnt with goat cheese and roasted pig skin, cucumber flower. 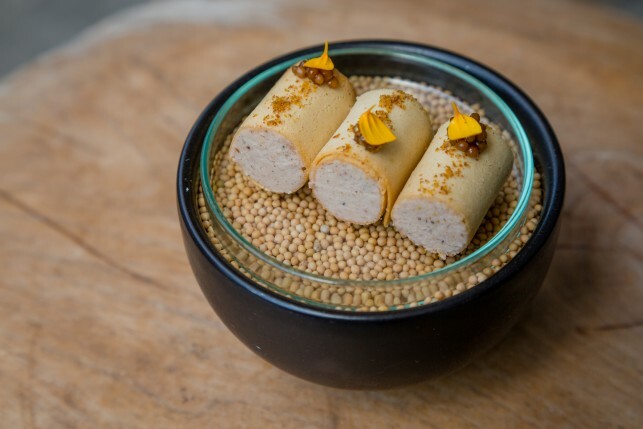 Crispy cannelloni of andouillette with mustard and marinated mustard seed. 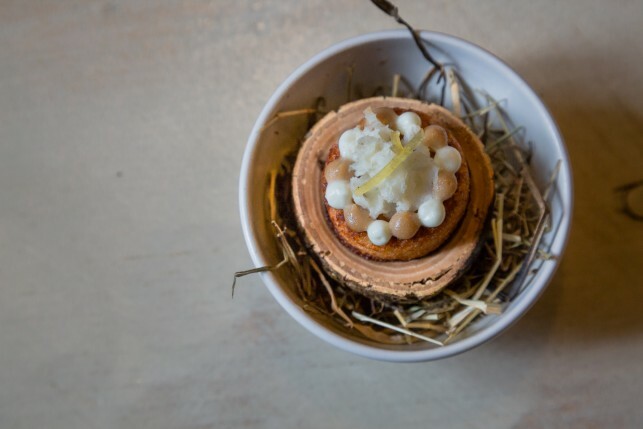 A merengue of cocoa and a bowl of ‘terrine de campagne’. Finished with marinated yellow beets and mango gel. 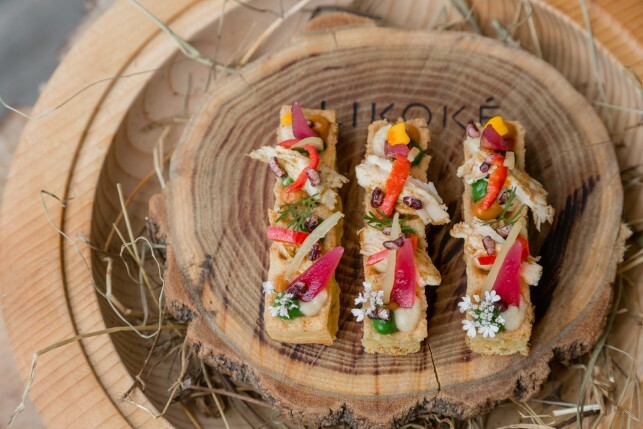 Moambe fingerfood: Brussels waffle served with stewed chicken, banana cream, pickled onions, peppers, citrus and coriander marigold flower. 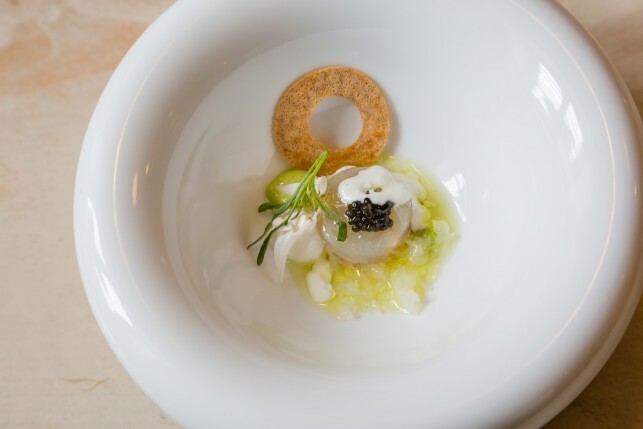 A langoustine tartare comes with pork leg, granite of grapefruit, yogurt sauce, herb oil, cream of purslane, vanilla and caviar. 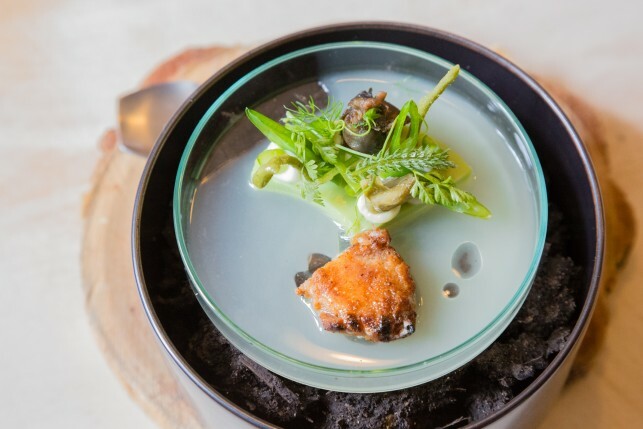 ‘The Garden’: A panna cotta of pea served with pea and bean shoots and, lemon verbena, escargot and oil of thyme flowers. The dish comes with a sauce of peas and smoked bacon. 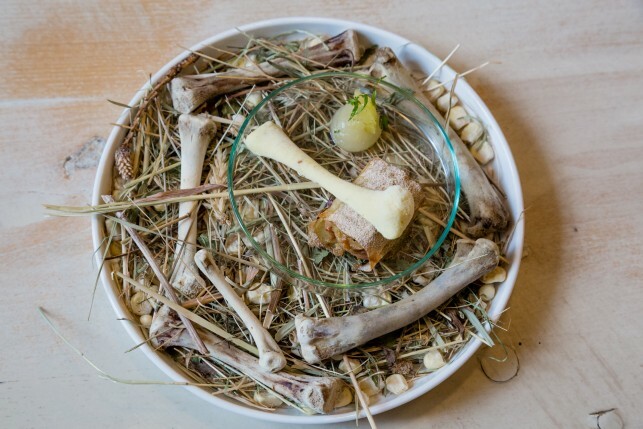 Completed with calf brains, as a tribute to Piet’s father. 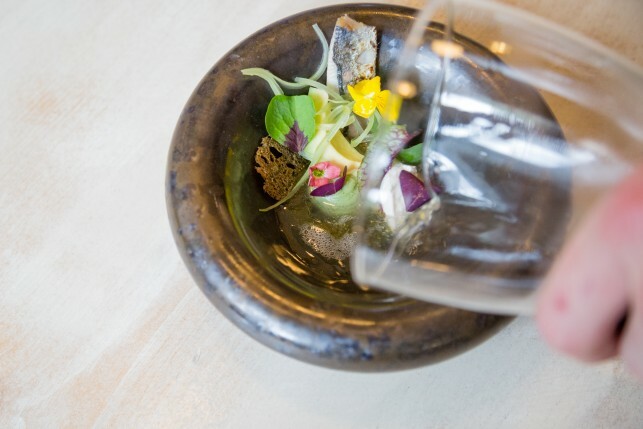 Roasted sardines with an iced juice of celery and apple, avocado cream, avocado and granite of sorrel. 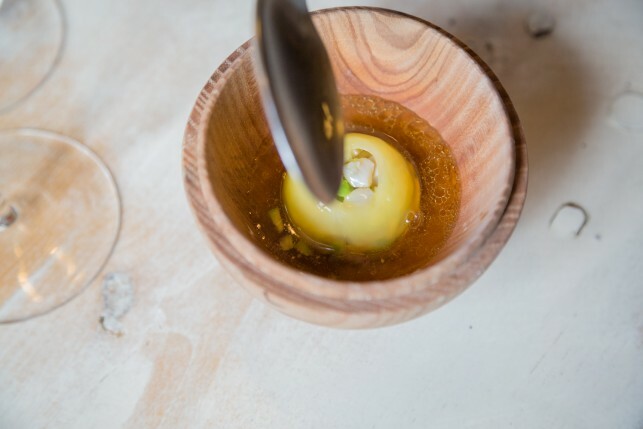 Boule: a ball of beurre noisette is filled with a salad of asparagus and trout and showered to melt with a broth of apple and tarragon. On top comes an asparagus with roasted trout, cream of egg yolk, tarragon and the whole is finished with grated apple. 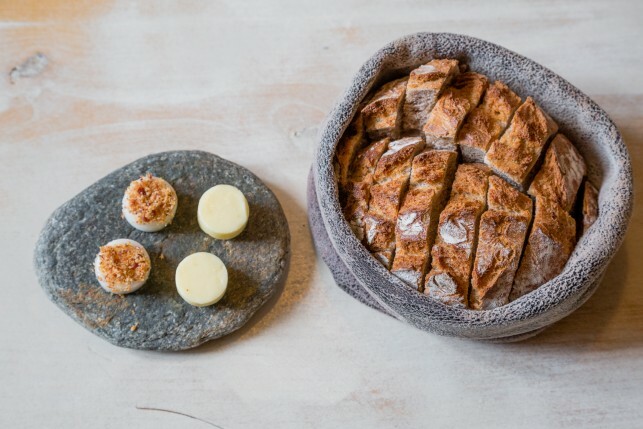 Homemade chestnut bread with butter, lard and crunch of bacon. 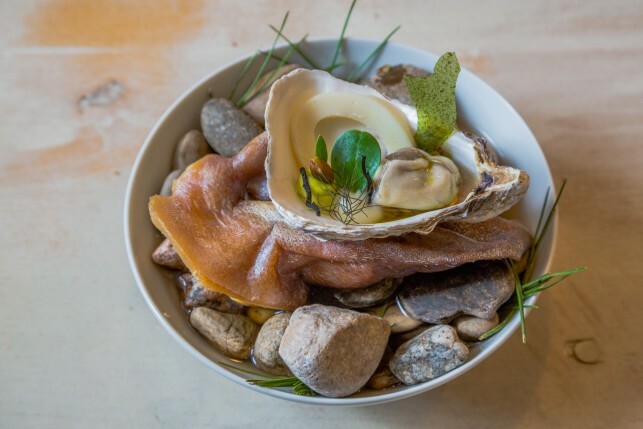 Oreille: a smoked oyster with a gravy of cepes, celeriac and dashi. 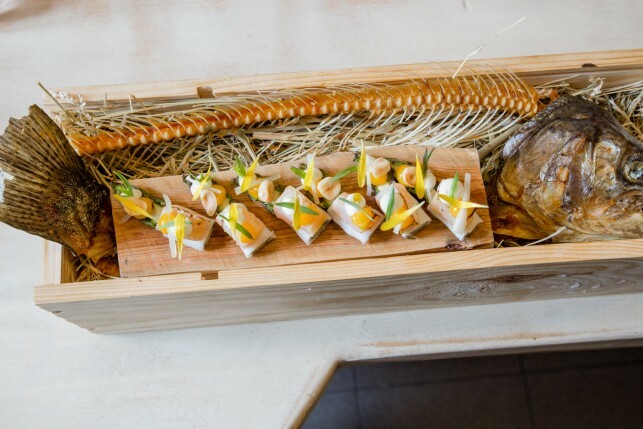 It is served with a flan of celeriac, pig’s ear, pistachio, lemon juice with pine needles and hichiki. 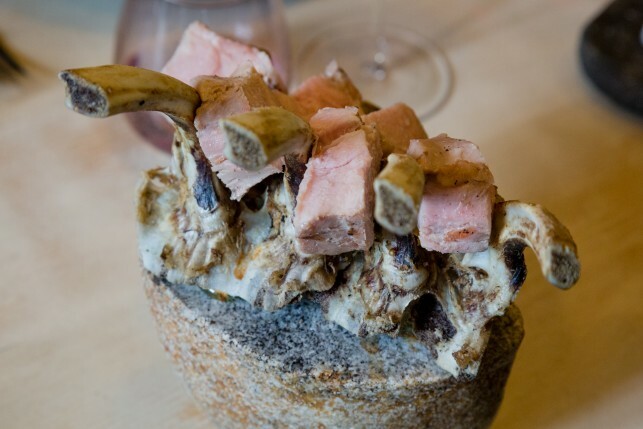 The ensemble is served in a real pig’s ear. 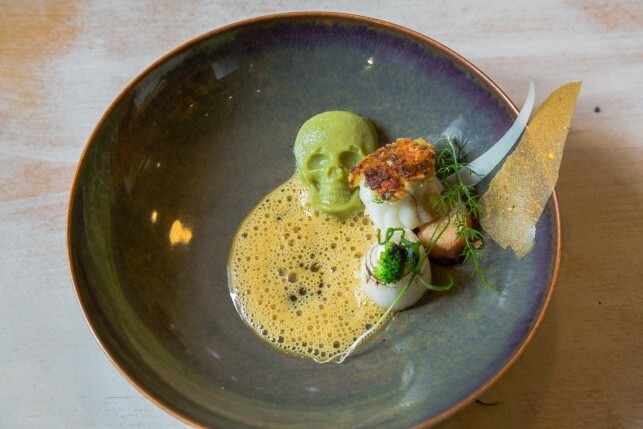 Grilled sea bass with Comté comes with broccoli, calf globe, a curry sauce with leeks, wild dill, broccoli and skull of oil burned leeks. Provencal sandwich with pickles: chopped chorizo ​​from mangalica pig on a layer of burnt bread. 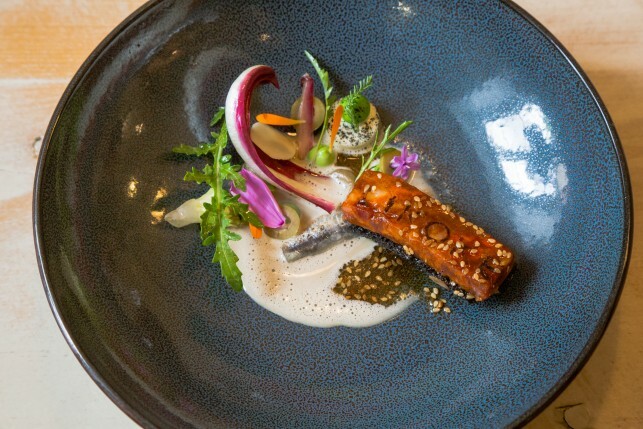 Raw and salted anchovies and a salad from the garden with panna cotta of fermented olive oil, cream of aubergine, rocket and sauce of sesame vinaigrette. Asparagus with sour cream, bacon Mangalica, trout eggs and fat dripped over it for some extra flavour. 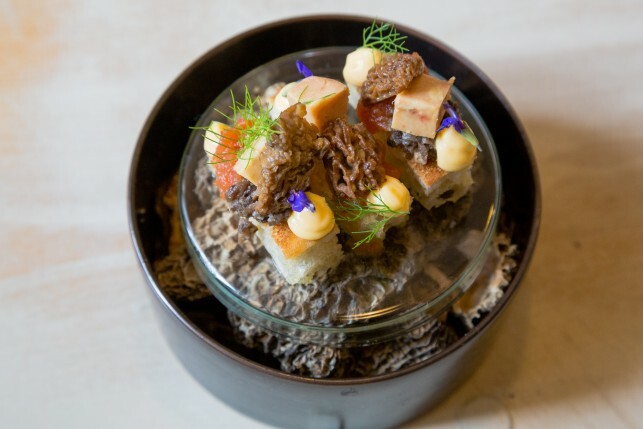 Toast with morel mushroom, fennel leaves and sage leaves. Slow cooked veal ribs finished Josper oven. 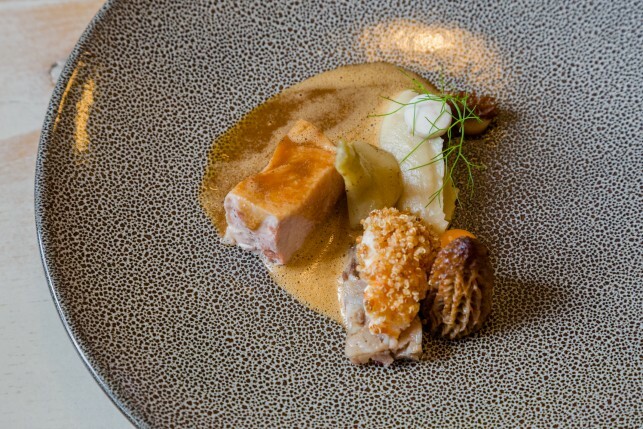 Combined with Langoustine with puffed quinoa, a rouille sauce, morels, a brunoise of veal neck, puree of artichoke, yarrow and a sauce of veal and langoustine. 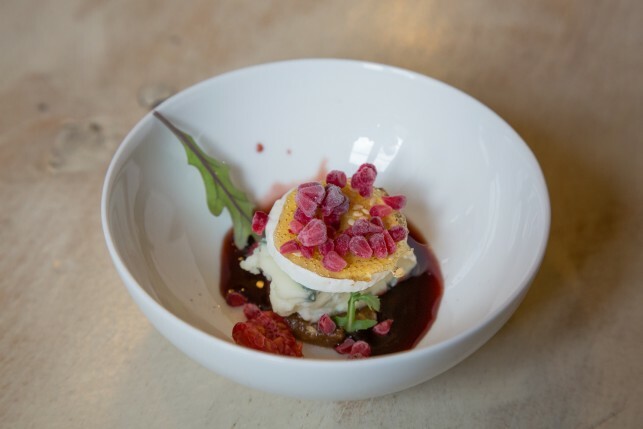 Fromage brébis from Coucouron, the Northern Ardèche, with blackberry, racket salad, pâté dates and sesame, palette of yogurt, freeze-dried raspberry, and a coulis of red wine and herbs. 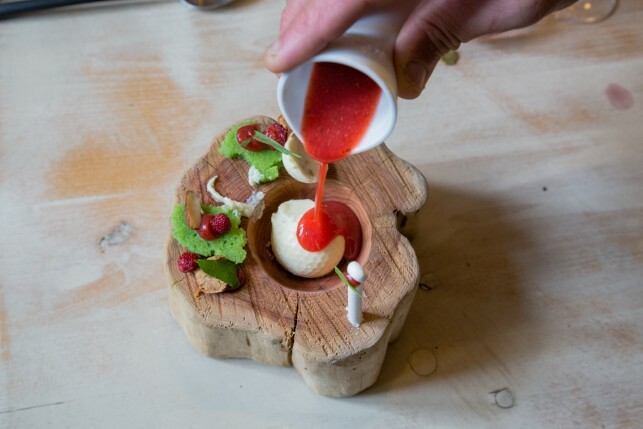 Time to play: the Golf Ball: a crispy ball made from almond milk and filled with fermented garlic, marzipan cake, strawberry, nougatine and a strawberry coulis and lemon. 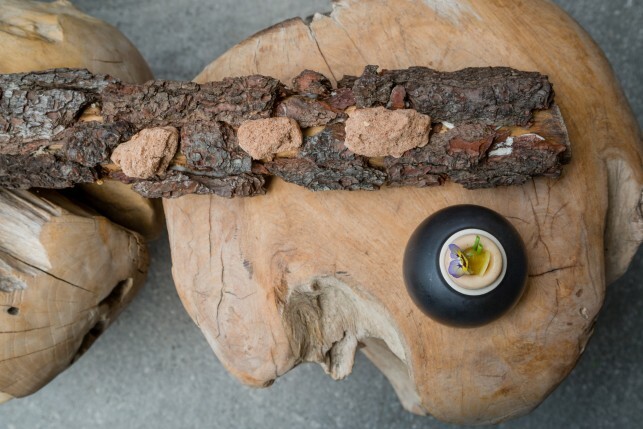 It is served on a piece of wood with a hole in it, and the ball is put in the hole with a real golf stick at the table. Chicken Curry: A variation on the Moroccan pastries with a parfait of rice and curry, melon, pineapple and chicken spring rolls. Lightly smoked cookie of apple, financier, yogurt. 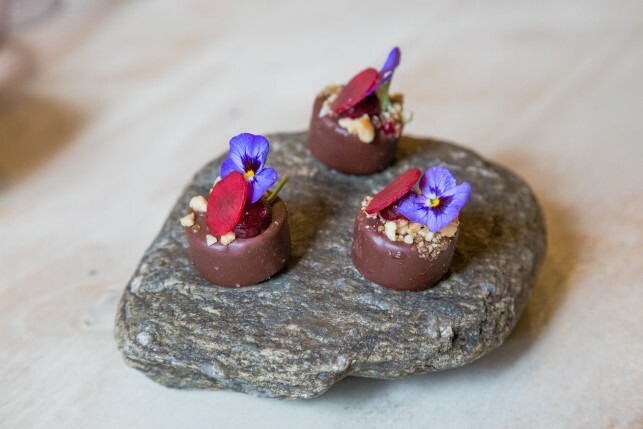 Praline of foie gras and beetroot, chocolate and black pudding. 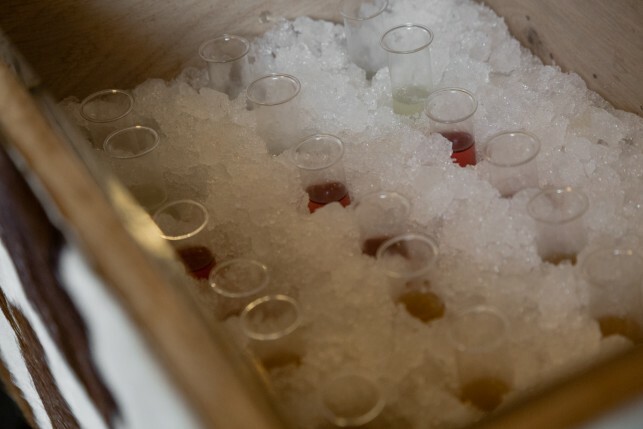 Shots ‘Frisco glacé’ with among others gamay grape. 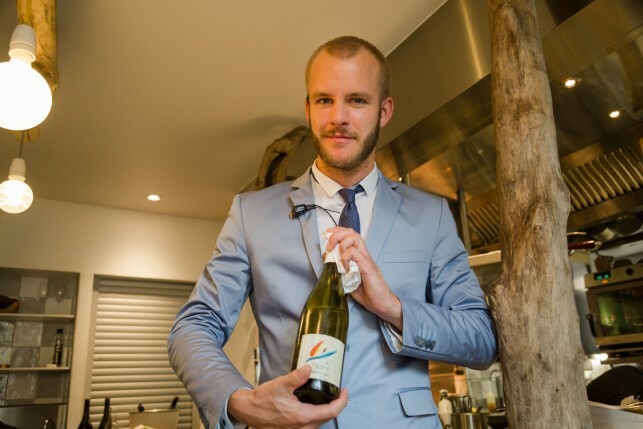 Wines are presented by Piet’s son Cyriel Huysentruyt and he serves interesting pairing beverages with the menus, as well as an à la carte wine list. 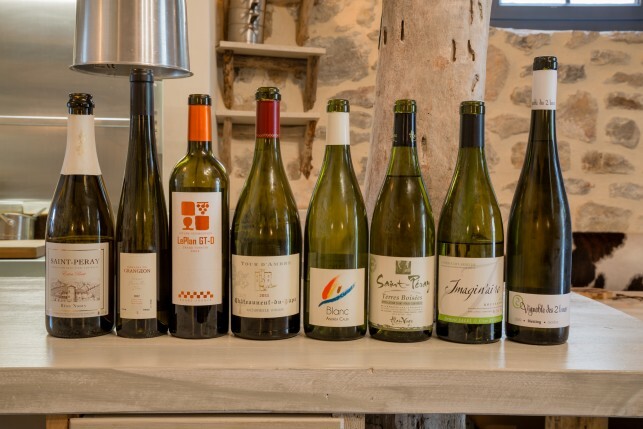 He uses many local wines, and throws in an organic wine where possible. Beverage prices are very correct. 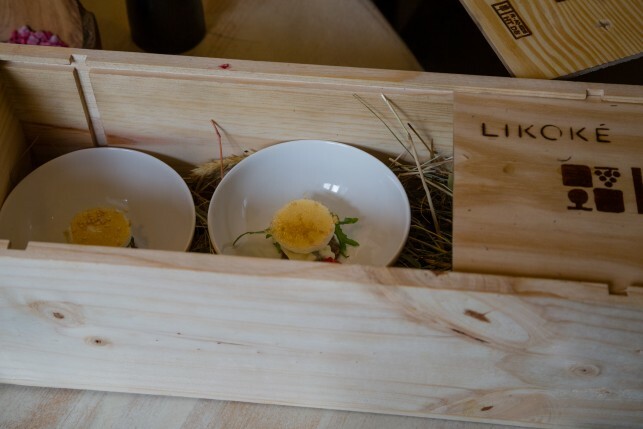 Just as our previous visits, we had an amazing experience at restaurant Likoké. 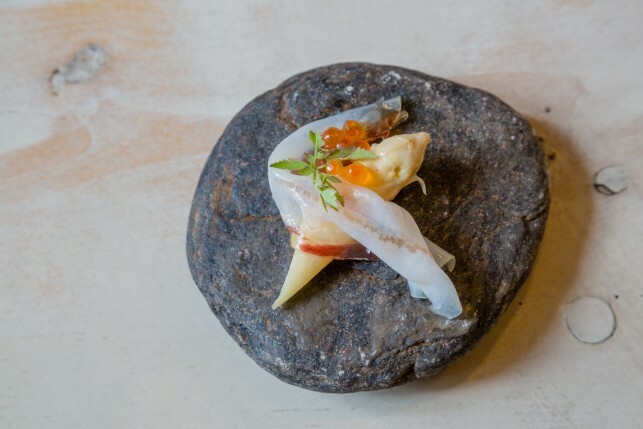 It is incredible to see how the team of chef Piet Huysentruyt accomplished to achieve such a high level of culinary perfection and continue to innovate year after year. 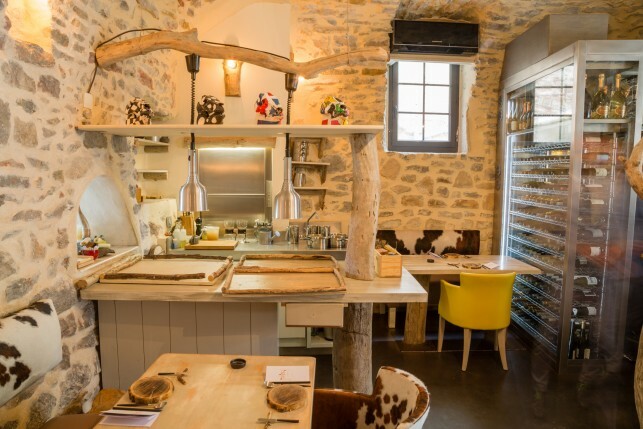 The passionate chef proves himself as a master of taste, a great people manager and a very friendly host. 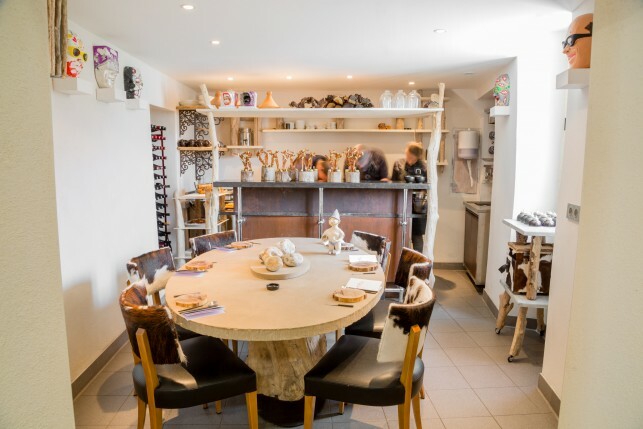 Likoké is a true discovery in the Ardèche region and although its remote location, it is truly worth the journey.